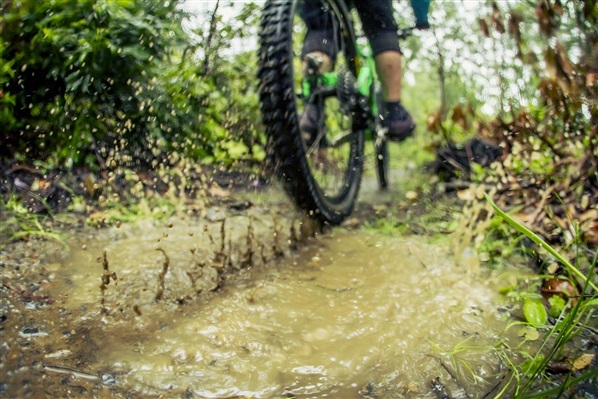 With their first year well and truly under their belt, Northern Ireland's National Mountain Bike Trail Centres in Rostrevor, Castlewellan and Davagh Forest are continuing to attract thousands of mountain bikers from far and wide. 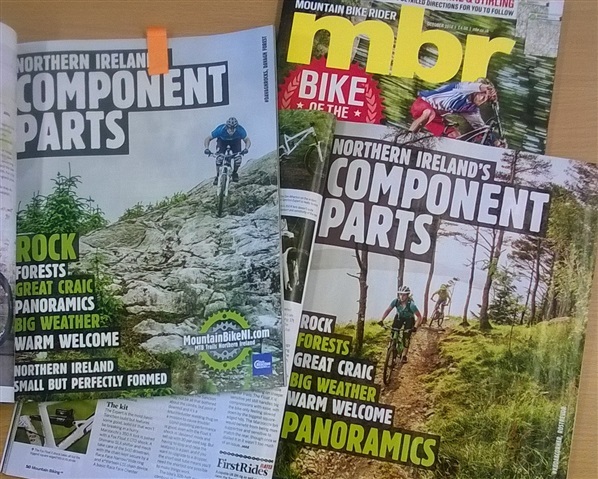 Featuring in both MBR's Annual Trail Guide for 2014 and MBUK's Top 50 Trail Centres, it's safe to say Northern Ireland is grabbing the attention of mountain bikers across the UK and Ireland. This autumn, MountainBikeNI.com is running a campaign to focus on 'Northern Ireland's Component Parts' ...what really makes this place special! We thought we'd share these below. Please feel free to join in on the MountainBikeNI Facebook Page to tell us what you think makes Northern Ireland stand out as a world class mountain biking destination. 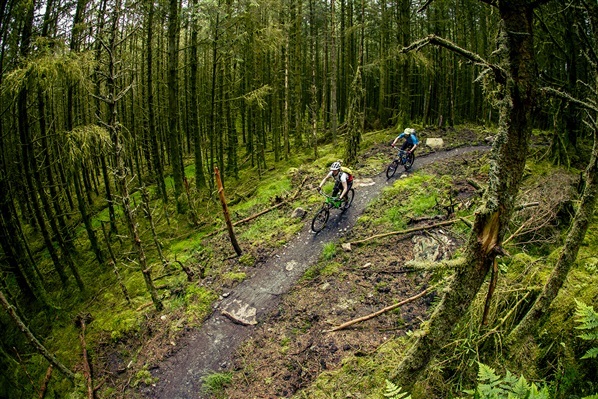 All 3 trail centres in Davagh Forest, Rostrevor and Castlewellan weave their way through some of Northern Ireland's finest forest landscapes and open up parts of the country which have been virtually untouched for centuries. From the luminosity of Davagh Forest's lush moss to the 'almost darkness' of Castlewellan and Rostrevor's dense woodlands, this component part may take people by surprise but you'll see why when you experience riding through these special forests for yourself! There's no denying it, this corner of the UK can bring with it some 'big weather' so whilst the chances of topping up your sun tan may be few and far between, you can be sure of spectacular skies, ever-changing terrain and varied trail conditions! Ultimately Northern Ireland's strongest component part boils down to its people. People who will give you the 'banter' out on the trails. People who will welcome you into their cafe when you're covered from head to toe in mud. People who will encourage you to join in traditional music sessions in the local pub. People who will recommend the best place to replenish all those spent carbs from your day's riding on the trails! 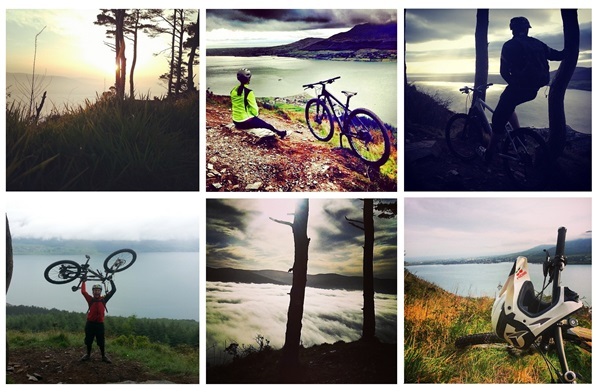 It's the people of Northern Ireland that will make your biking trip here truly special! Why not come and experience Northern Ireland's National Mountain Bike Trails for yourself this Autumn?! We guarantee you won't be disappointed! Check out loads of useful information to help you Plan your Perfect Mountain Bike Holiday in Northern Ireland. 'If you are good enough you are old enough' is perhaps most associated with Matt Busby when referring to his all conquering Busby Babes, however this famous quote can now also be applied to 19 year old Castlerock native Hamish Wilkinson who recently became the youngest person to circumnavigate Ireland by kayak. Hamish also became the first to do so in a traditional Greenland kayak with Greenland style paddle. In a vote of confidence towards traditional techniques, Hamish built his craft with the assistance of his father John, a renowned local boat builder. Known as a 'Selkie' this kayak is wooden framed with a nylon skin and bar a few brass and bronze fittings there is no metal screws, fastenings or modern glues and adhesives. CanoeNI.com: What was the most exciting element of the trip? Hamish: The most exciting element of the trip had to be the rough weather. Particularly off the west coast, where the swell was huge. Watching waves break in deep water was definitely a highlight, and a bit of a scare all in one. The most satisfying aspect was the changing landscapes throughout the trip. It was nice to be able to get in the boat somewhere in the morning and then get out in a totally different spot at the end of the day with the mornings campsite off the horizon. CanoeNI.com: On the flip side what was the most arduous element? Hamish: The toughest and definitely most frustrating part of the trip was the weather. I had northerlies most of the way up the west coast, something which really started to get under my skin, particularly as I had hoped to benefit from the tailwinds from prevailing southerlies. The real seal on this being the most difficult part of the trip came when I turned into Donegal Bay and the wind switched to an easterly! In my face again! Easy to laugh at now but at the time it was pretty demoralizing. CanoeNI.com: What did you most miss about home? Hamish: I easily missed my bed most of all! What crossed my mind a lot though, was that I missed the stability of land, you could stop and rest whenever and not move with the wind and tide. CanoeNI.com: What piece of equipment could you not have done without? Hamish: The most essential piece of equipment is a tough one. To be honest I don't really have a definite answer. The boat immediately springs to mind but that is somewhat obvious! I guess it would be my stove, a smaller version of the Trangia. Since it was smaller I was able to boil water and cook with a minimum of fuel. Very handy as fuel was not that easy to come by in the more remote sections. CanoeNI.com: How satisfying was it to paddle a boat you had crafted along with your dad? Hamish: The boat element was very satisfying. It had a real positive effect on me I think. Firstly because it, in many ways was a bit of home, but more so because the boat was built for me exactly. It was not a shop bought bit of 'one size fits no one' kind of thing-the measurements for the boat were astonishingly detailed, and when I paddled it, the difference was really extraordinary. Also it meant if something was going wrong I only had myself to blame! CanoeNI.com: Thinking about NI in particular - what was your favourite section of coastline? Hamish: The best bit of the NI coastline was hands down the Causeway Coast. Maybe sounds a little clichéd as it is my home patch, but I really found it was the most scenic for me anyway. My tastes have always lent towards dramatic cliffs. That said the Gobbins deserves a mention-sadly though reconstruction was going on there when I passed and the climbing ropes and building materials festooning the cliffs took away from the view a bit. Outside of NI a few bits caught the imagination. The Dingle peninsula with the Blaskets, Sybil Point and Mount Brandon was stunning. The cliffs off north Mayo were craggy and impressive while Slieve League was majestic even with its head in the clouds. Hamish: I am not sure! I have vague plans about Iceland, but may take the chance to do something land based next year instead. Whatever happens, I think it will be my last solo trip anyway! I will take someone along to help carry the boat next time!! Hamish spent 70 days on this expedition paddling a total of 1600km / 1000 miles. Hitting The Wall – Literally and Figuratively! (NB: Undertaking such a challenge should not be done so lightly and training and preparation is key. It is not advised that this challenge be attempted without proper planning and consideration and with the correct provision of food and water). The last day of freedom before school drop offs/pick ups/extra curricular activities dawned bright and a planned “me time” run in a local forest, then became a planned wee run in the Mournes….which by halfway through the 30min drive to the majestic Kingdom of Mourne became a madcap plan?! 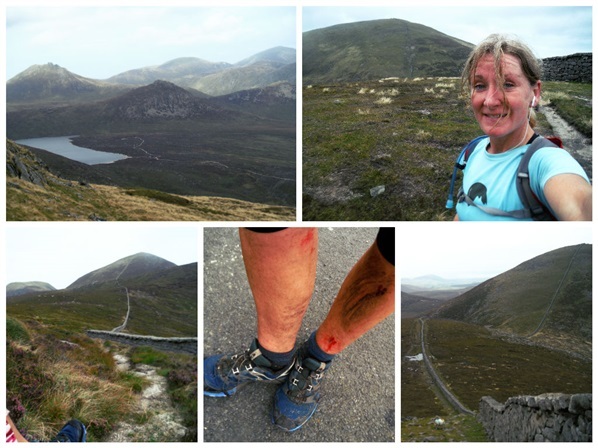 of running the entire Mourne Wall! Not a plan?! that I’d be encouraging many to do, unless they actually planned it! The Mourne Wall was constructed to enclose a reservoir's catchment area in the Mourne Mountains. It was built between 1904 and 1922 by the Belfast Water Commissioners to enclose the water catchment in the Mournes. The wall was crafted from natural granite stone using traditional dry stone walling techniques. On average the wall is about 1.5 metres high, and 0.8-0.9 metres thick. It is 22 miles (35 km) long and passes over 15 mountains. So yes, it is not something to be taken lightly without adequate preparation and provisions !!!! NB do as I say, not as I do! Walkers generally complete the Mourne Wall over the course of 2 days, camping about halfway around the route, and reports are that anybody attempting to complete the wall in 1 day, does so in about 12-13 hours. Setting off at around 10am in an anticlockwise direction from Silent Valley car park, with the aim of walking the inclines and running the flats and down hills, I was reckoning about 8 hours. A far cry from the wee forest run I was planning before the madcap plan took hold! The wall immediately climbs up Moolieve, to Wee Binnian and Binnian on an easy-to-follow narrow path, and from the very start the views are spectacular. The descent from Binnian to Annalong Wood is on rugged and rocky terrain, with stunning views of the wall and ensuing summits rising up above the far side of the trees. The section through Annalong Wood is testing – heavy undergrowth, brambles, rocks, bore holes and river crossings! - but then an easy path resumes via Rocky Mountain and the whole way across the Bog of Donard (guess why it’s called that???) and up to the summit of Slieve Donard. By this stage I had been going 2hr50min and bounced down the descent to the saddle with Slieve Commedagh in less than 10mins. I felt invigorated and full of energy!...or was that just because I’d eaten 1 of my 3 chocolate bars (NB do not attempt this with such meagre supplies! If I’d planned this at all, I’d have had a full blown picnic with me….not to mention way more than an insufficient 1 litre of water) at the top of Donard?! Up Commedagh and running along the wall on a long, gradual descent across Slieve Corragh and Slievenaglogh, the vista ahead is breathtaking and not only can you see the Mourne Wall snake its way in the distance over peaks to come, but you can see it weaving its way around behind you from where you have come. The ascent up Slieve Bearnagh is a challenging one, as is its descent to Slieve Meelmore – but sure scrambling gives you an upper body workout! Psychologically, once you’ve done Slieve Meelbeg, then you think you’re pretty much home – as all the biggest summits are behind you. Oh how wrong can you be?! Not even my 2nd chocolate bar of 3 on Meelbeg could spur me through this final section. Yes….it had happened….you know that saying “hit the wall”? !...well, having hit the Mourne Wall lastmin.com with insufficient provisions, I had hit the wall figuratively. So, what do endurance athletes do in such situations? Start talking to yourself like a nutter, using any mantras and methods necessary to keep moving forward! The section from Slieve Loughshannagh via Carn and Muck was a total slog through boggy, marshy terrain – ending with a slow, sharp, heather-ridden descent down Muck and through further no-mans-land until crossing over Banns Road and ascending the final summit, Slievenaglogh (yip! there are 2 of them along the Mourne Wall!). With the allure of the final summit, and devouring the 1 final chocolate bar, you’d think that energy levels would be restored. Nope! That final wee summit felt like Everest surely feels. And then, the final straw, just when you’ve crested the top and think all you have to do is drop down to the finish at Silent Valley – the wall sweeps you totally the opposite direction! Sure, what’s an extra 2 miles?! With aching knees, hammered feet, bruised legs….and so the list goes on…I finally ended up back at the car after 7hrs10min. I hadn’t felt this shattered since doing the Himalaya 100 in 2010, but couldn’t help but think that if I’d had proper food and water then I probably wouldn’t have felt so bad. No matter what though, the journey reinforced what an exceptionally beautiful area the Kingdom of Mourne is. There is spectacular scenery, varied terrain, diverse flora and fauna around not only the summits themselves, but the low lying foothills too. Whether you’re going 22 miles, or 2 miles, you can’t help but be in the Mournes and feel lucky to be alive. . . even when you feel nearly dead! En route I saw only 2 sets of people, the 2nd set being after 5hrs and in my lengthy slog through the last section. I saw 2 women hikers approaching from the opposite direction, and was unsure I could even muster a “hello”. However, I did, and not only that…I even managed to make 1 of them crease up in laughter when she asked me, “How far have you come?”. I told her I’d started in Silent Valley and would be back in Silent Valley in a couple of hours. She asked, “Did you start yesterday?”. I replied, “No, I started just 5 hours ago” and she was astounded. 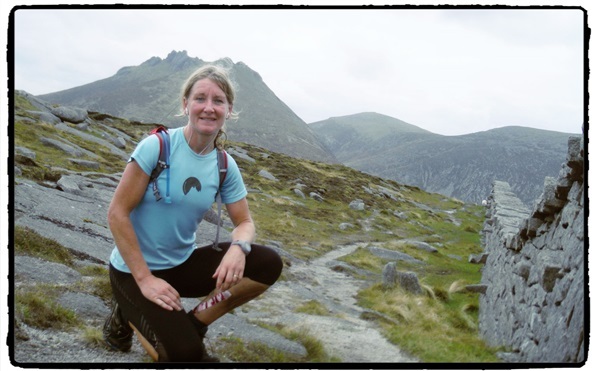 Her hilarity was when I then added, “Sure, the Mourne Wall is 22 miles – that’s not even a marathon” ! Anyone out there wanting a marathon route?......hit the wall! Eternal adventure seeker.... A sports enthusiast, who competes at a high level but who has as much passion for encouraging other females and kids into the great outdoors. Along with 3 other like-minded girls she founded The Belles in 2009! Looking for a fun filled family day out with the kids during September? Get Outdoors Weekend 2014 promises not to disappoint! You will be spoilt for choice with over 80 FREE outdoor activities across Northern Ireland and a choice of 7 Family Multi Activity Days. The fun really needn’t stop now school has started! Enjoy family fun in Belfast and get to try a whole range of outdoor activities including low ropes and archery. Some activities require pre-booking. Celebrate the changing season with a weekend of food, flowers and family fun. Free activities including a climbing wall and archery sessions will be on offer during the festivities. Just turn up on the day! Come to Gortin Glens Forest Park near Omagh and enjoy a host of outdoor activities sure to enthuse the whole family. Activities include archery, climbing and laser clay pigeon shooting. Some activities require pre-booking. Enjoy free entry to this beautiful country estate and explore a network of more than 34kms of walking, cycling and horse riding trails. This is a turn up on the day event. Bushcraft, climbing tower, archery, hill walking and more...it’s all happening at Slieve Gullion for the fantastic Get Outdoors Extravaganza! Some activities require pre-booking. Get Outdoors with a range of different outdoor activities for all the family including a scavenger hunt, mountain biking and wild cooking. Some activities require pre-booking. Experience the great outdoors with free activities including climbing, canoeing as well as guided cycling and walks. Some activities require pre-booking. 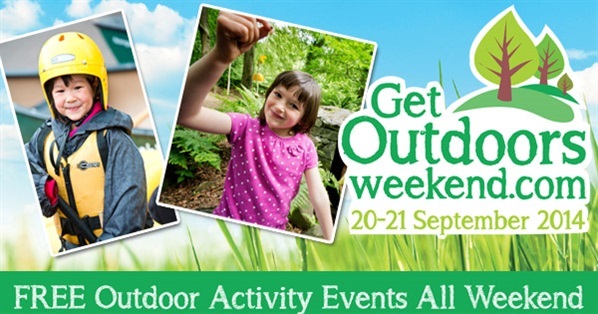 To find out more information on all these great activity events and how you can take part in a FREE event near you vist Get Outdoors Weekend! 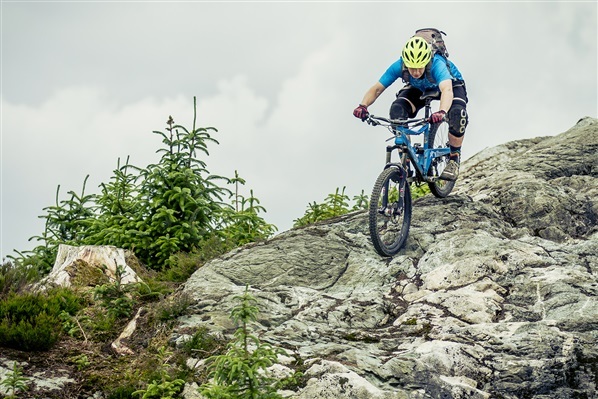 We know that when you're planning your mountain bike holiday in Northern Ireland, it is good to have a few recommendations of accommodation providers who fully understand your wants and needs as a mountain biker. As such, we have taken a look at our website statistics (very scientific) to put together a list of the most popular MTB-Friendly accommodation options near each of Northern Ireland's mountain bike trail centres. We have listed the top 3 most popular accommodation providers near each trail centre however you can check out our Mountain Bike Holidays page for a full list of MTB-Friendly accommodation providers in Northern Ireland as well as 'Where to Eat/Drink' near the trails and how to plan your mountain bike holiday in Northern Ireland. 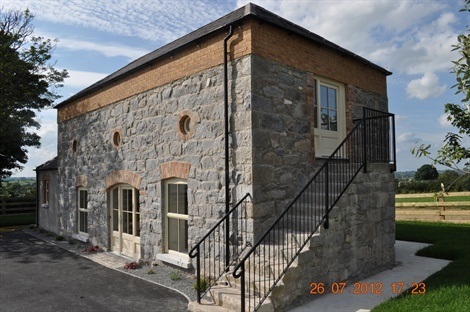 If you fancy staying pretty much half way between Castlewellan and Rostrevor and value loads of mountain bike friendly facilities such as utility/wet room, washing machine, tumble drier and secure bike storage then Gracey's Barn in Rathfriland is for you! This modern converted barn provides a cosy retreat after a long day on the trails. Gracey's Barn sleeps 4 people comfortably and rates start from £85 (€107) per night. Other popular accommodation options near the Castlewellan Mountain Bike Trails include Life Adventure Hostel in Annalong and Hutt Hostel in nearby Newcastle. 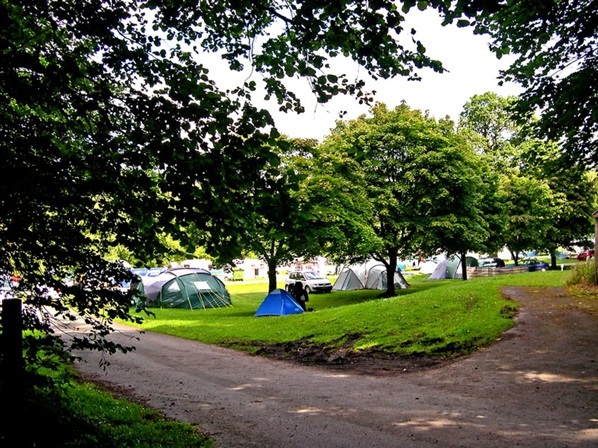 The Kilbroney Caravan & Camping Park is situated right next to Rostrevor's trailhead allowing you to literally ride off the trails and straight to your caravan or tent. It is hands down the most popular mountain bike friendly accommodation option in Northern Ireland with nightly rates starting from as little as £13.90 (€17.50) per night. Other popular mountain bike holiday accommodation options near the Rostrevor Mountain Bike Trails include Crotlieve Barn and Rostrevor Holidays self-catering cottages. Just 3 miles from the Davagh Forest Trails and with token Irish Pub on-site, it's no wonder The Shepherd's Rest is a favouirte amongst visiting mountain bikers. There is always a warm welcome on offer and more MTB-Friendly facilities than you can shake a stick at including bike wash, service block, laundry, secure storage, BBQ and picnic area. One of Blessingbourne's most unique characteristics is that you can stay in luxury self-catering apartments with the mountain bike trails literally passing within metres of your doorstep. These award winning cottage style apartments cater for two to five people and guests can look forward to homemade wheaten bread, jam and shortbread on arrival. Apartment rates start from £199 (€251) for two nights. 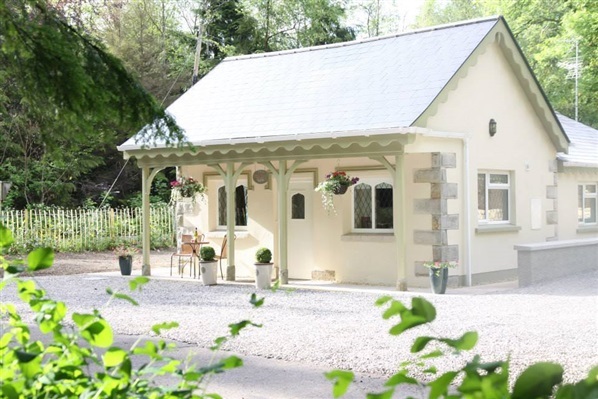 Other accommodation options near the Blessingbourne Trails include The Valley Hotel and nearby Clogher Valley Country Caravan Park.